Picture books featuring native Australian flora and fauna aren’t new. Picture books including natty little extras like accompanying CDs aren’t exactly ground breaking either. However, picture books told with the kind of original verve and swagger like Once a Creepy Crocodile is will have you and the kids laughing and applauding with fresh wild abandon. Once a Creepy Crocodile is the debut picture book for Queensland author Peter Taylor, a gifted calligrapher and just as skilful picture book creator. 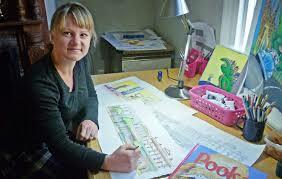 His partnership with illustrator Nina Rycroft has produced a corker of a picture book teaming with exuberant Australiana and bouncing rhyme. It is set to the rhyming metre of the well-loved song, Waltzing Matilda and once you recognise this, it is virtually impossible not to read it (aloud) along to the melody. It all starts one dreamy afternoon by the riverbank, as creepy old Croc approaches baby Brolga with an invitation to join him for afternoon tea. Brolga, being prone to a bit of a party, is very tempted but is repeatedly dissuaded by his bushland buddies who fear Crocodile’s intentions are deceptively malign. Croc persists with a seduction of scrumptious sweeties and sly smiles. Once again, Brolga’s friends intervene until Spotty Snake slithers in with an offer of his own. Will Brolga ever learn? Croc eventually hosts his magnificent afternoon tea but you will have to sing your way through this yourself to find out just who survived to enjoy it with him. 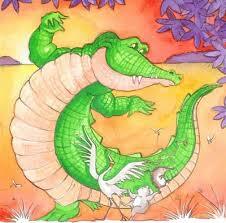 Once a Creepy Crocodile is an entertaining Aussie mash-up of The Gruffalo meets the best of billabong bush lore. Taylor’s attention to metre makes each verse a cinch to read even if you are not ‘singing’ the tune, although I prefer the latter. He also gives plenty of airplay to some of the less well-known bush critters including the boo book owl and blossom bat, creating a large but colourful and endearing cast of characters. Nina Rycroft’s full page, smack-in-you-in-the-face illustrations are a pure joy to behold. They trace the insidious attempts of both Creepy Croc and Spotty Snake to lure in naïve Brolga with bright, bold abandon, which younger readers will swoon over. Teabags splish and cupcakes hurtle across placid watercolour backdrops, which feature vivid pops of accentuating colour; the bright green bumps of Croc, the indigo waters of the creek, and Spotty’s deep amethyst coils for example. 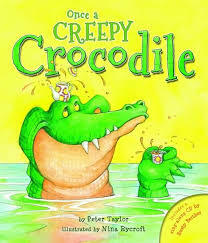 Once a Creepy Crocodile is a feast for the eyes and a treat for your soul and above all, plain good old fashioned fun. 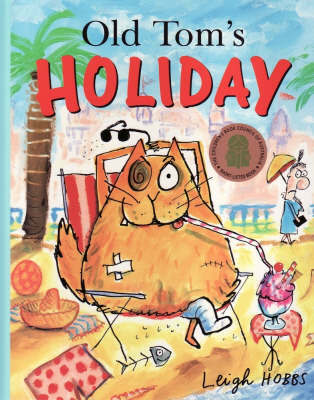 I have just returned from the National Conference of The Society of Children’s Book Writers and Illustrators (SCBWI) 2014 in Sydney where Peter Taylor launched his new book. Like all fine things, the project was a long labour of love, taking him many moons to perfect. Thankfully, it won’t take you as long to read, but once you do reach the end, you will want to read it again and again and again. 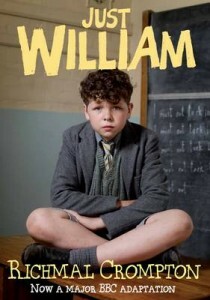 A book with sustained readability that sounds good and has lots of Aussie heart. What more could you ask for. Tea anyone? The Five Mile Press Out now and available here now! 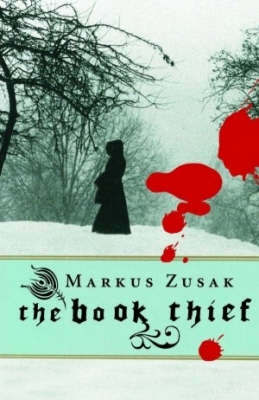 Which genre of childrens books do you like most and why? Picture books – because those for young children are written to be a true delight for an adult to read out loud as a performance. I miss sharing them with my son and daughter, now in their 20s, but I do love reading picture books to other peoples children whenever possible and the pictures can be seen pictures as well, which are hugely important. I could give a long list of favourites – Old Tom’s Holiday by Leigh Hobbs, Gordon’s Got a Snookie by Lisa Shanahan and Wayne Harris, Mummies are Amazing by Catriona Hoy and Annie White, the classic Fancy That by Pamela Allen – how many pages worth do you want? 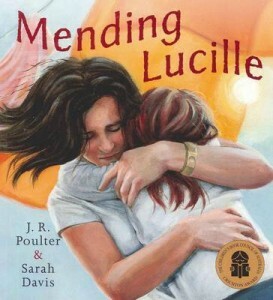 And I’m equally fond of those written for older children – Mending Lucille by Jennifer Poulter and Sarah Davis, Do Not Forget Australia by Sally Murphy and Sonia Kretchmar, Photographs in the Mud by Dianne Wolfer and Brian Harrison-Lever, Winston of Churchill: One Bears Battle Against Global Warming by Jean Davies Okimoto and Jeremiah Trammell. I can’t remember being surrounded by a wide variety of picture books, but I do have fond memories of reading – Beatrix Potter’s books, the Rev. Awdry’s Thomas the Tank Engine series, Enid Blyton’s The Secret Seven books and the Jennings series by Anthony Buckeridge and William series by Richmal Crompton. And children’s encyclopeadias. I think I also had a fascination for the most dreadful children’s book ever written in the whole history of literature – Struwwelpeter by Dr. Heinrich Hoffmann, written and first printed for his 3-year-old son in 1845, and its still being re-published and re-printed. I believe there is a whole museum dedicated to it in Frankfurt. Which three attributes make for a great childrens book? 1. A hook within the first two pages – the main character is not yet aware of it, but the reader knows that there’s going to be a major problem or trouble of some kind – A Year with Marmalade, the very new and wonderful book by Alison Reynolds and Heath McKenzie, and Old Tom books by Leigh Hobbs. 2. The character solves the problem by their action or making changes (the problem is not solved by an adult), leading to a happy ending. 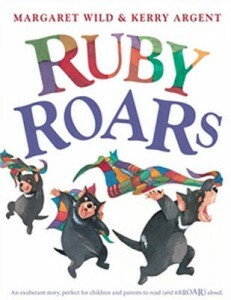 Ruby Roars by Margaret Wild and Kerry Argent. 3. Surprises. If you haven’t read Gordon’s Got a Snookie by Lisa Shanahan and Wayne Harris I wont spoil any surprises – but its also funny, poignant, fabulous to read, things happen in threes, there’s repetition, the ending relates to the beginning… I better not go any further past 3. Oops! I don’t have a perfect answer. When two children are treated identically and have the same experiences, one may end up a keen reader and the other reluctant. So, I’ll say don’t discourage a child from reading what they enjoy, even if you think they should read something else. Just let them enjoy reading. I have always read more non-fiction and poetry for pleasure than novels. As a young child, I most wanted to read facts. By 11 years old I could have passed biology exams designed for 16-year-olds. At 13, I read all Gerald Durrell‘s adventures in exploring African jungles and Corfu, and books about mountaineering feats and conquests – still good stories. How many possibilities are there apart from the obvious, like works of Shakespeare, or any recent picture book (I’m still trying to write one that editors like enough to publish)? 1. Relearning the Alphabet by Denise Levertov – poetry I keep revisiting. Peter Taylor is a writer and occasional illustrator who lives in Queensland. After qualifying as an ecologist and teacher, and studying printmaking, book arts and calligraphy, Peter initially taught science and art in schools. 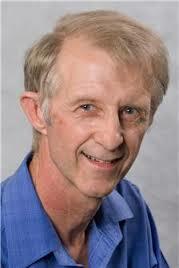 He completed a Diploma in Professional Children’s Writing in 1999 and has since been highly active in the world of children’s book organisations and publishing in Australia. 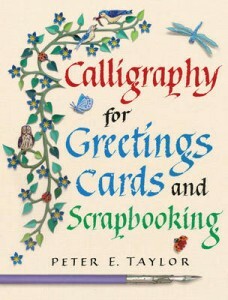 His third calligraphy book for older children and adults, his latest, Calligraphy for Greetings Cards and Scrapbooking was released in May 2012, but he also writes in other genres including umorous verse for the young (to appear shortly in an anthology), mid-grade and YA, and contributing the Science and Survival sections of 101 Things To Do Before You Grow Up. 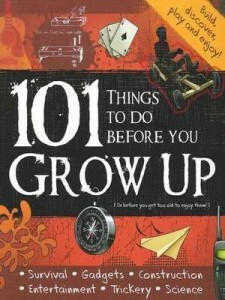 Peter gives talks and workshops that encourage people of all ages to read, write and be creative.